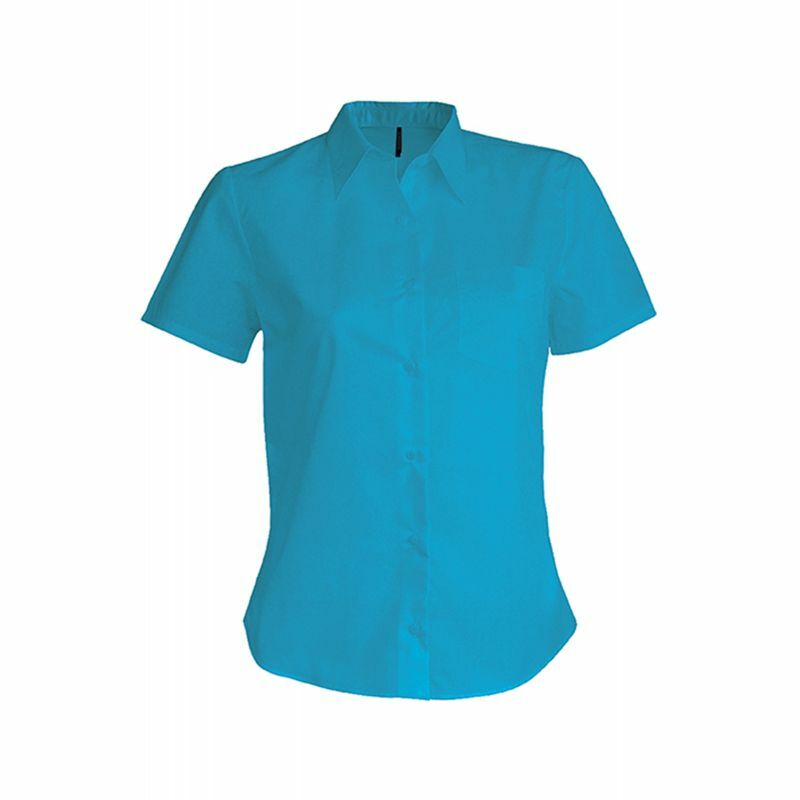 Women's blouse Front middle closed by 7 buttons. 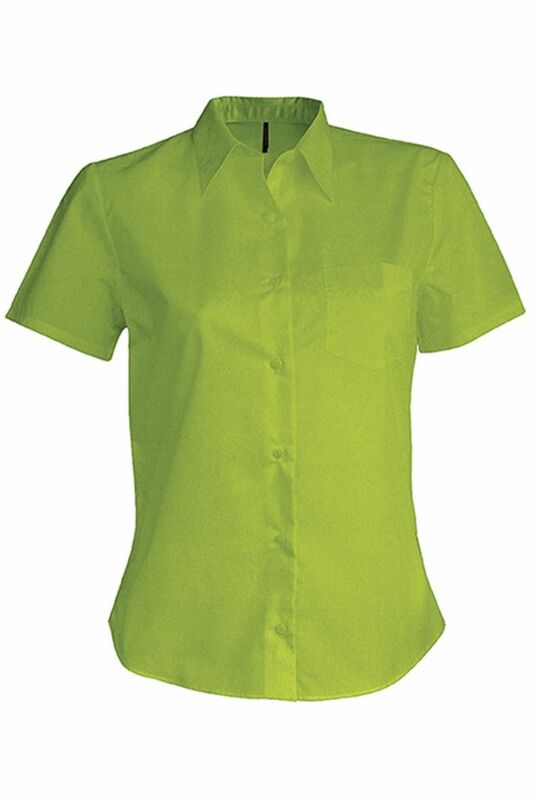 1 pointed breast pocket Short sleeves. Length 67 cm. 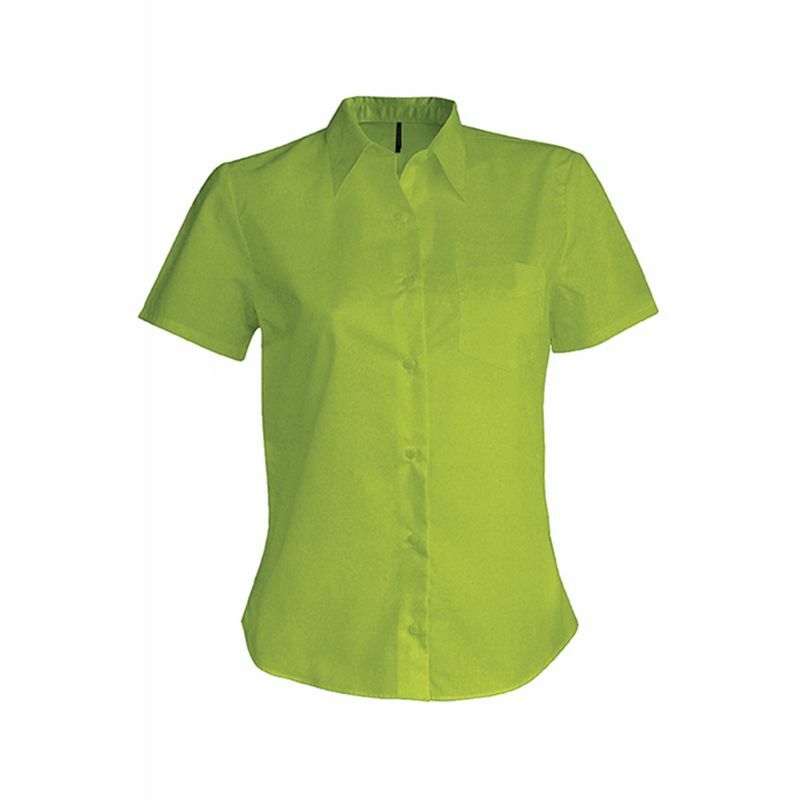 65% polyester, 35% cotton poplin.